New club MyFitness Tartu Annelinn opens Fall 2018, Kalda 41, Tartu. This club is twentieth in Estonia and third in Tartu; it is large format sports club that offers plenty of opportunities for those who prefer a sporty and healthy lifestyle. The gym at MyFitness Tartu Annelinn will be equipped with the high-quality machine park (Technogym and other well-known manufacturer); there will be separate zones for cardio, functional and strength trainings. Professional personal trainers provide help and advice. Annelinna club has a spacious studio for group trainings where we offer exciting classes in accordance with MyFitness high standards. Club schedule is full of different classes for all age groups (incl. juniors) and levels. The club will also be equipped with the first Studio X in Tartu. 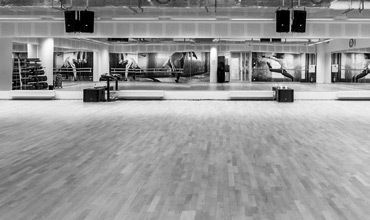 This studio has a unique design and hosts high-intensity classes that combine cardio with strength trainings. The special Technogym SkillMill machine is perfect to train the whole body! Training studio with unique design and high intensity. Here you can combine cardio with the muscle workout. Technogym SkillMill is a perfect machine for running, legs and stomach muscles. Come to discover its possibilities and effects on your body.